This is gracefully expressed in the prehistoric miniature figure of The embracing couple which is being exhibited at the National Museum of Archaeology on the occasion of St Valentine’s Day. The unique figure is, to date, the only artefact from Malta, dating to the Maltese Neolithic period, which shows human emotions immortalised through artistic expression. The artefact dates back to circa 3200BC and was found at Tarxien Temples; one of the prehistoric megalithic temple sites of Malta. Due to the antiquity of the artefact, one can only hypothesise as to what its actual meaning is. However, it is fascinating to presume that the embracing couple figurine might be portraying an affection or love which existed thousands of years ago. 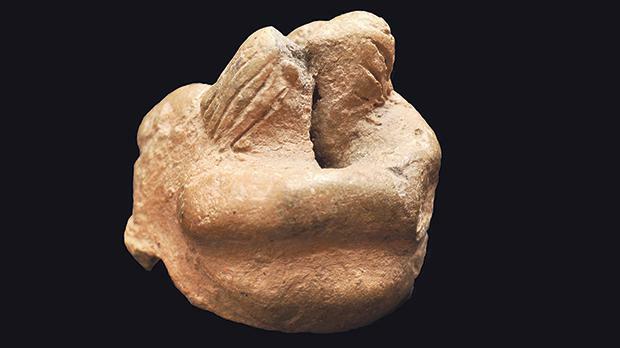 The embracing couple will be exhibited at the National Museum of Archaeology in Valletta until Sunday (last admission at 4.15pm). The exhibition set up in the lobby area is free of charge. More information is available at Heritage Malta’s website www.heritagemalta.org.